And suddenly the leaves are falling to the ground full of vibrant colors... walks are full of rich scents and sounds of crunching leaves underfoot... a sure sign that Autumn is literally upon us. The month of September, for me, is another new beginning. Since school starts back up, and I'm organizing for the new schedules, I tend to look over my year and see how it went. Mostly, I look longingly over summer and see how it went. 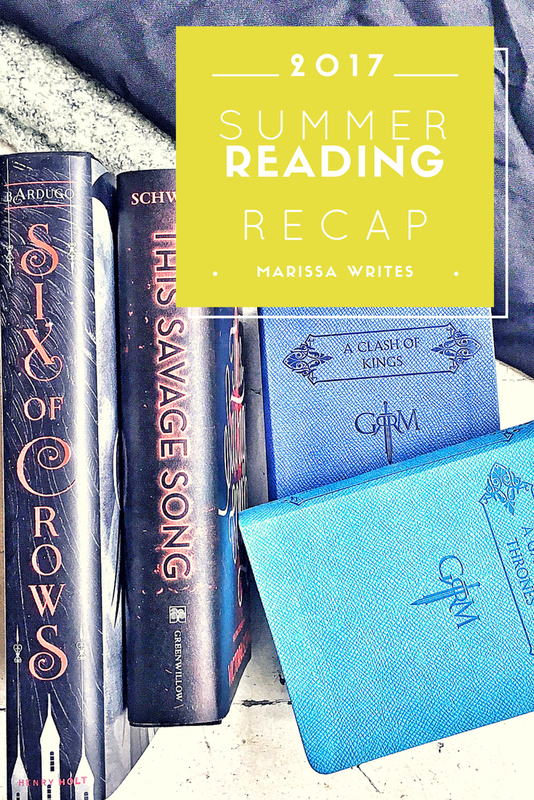 And this summer I set a reading goal... and it was a bit lofty. Today I figured I'd share how I did my Summer Reading List. I'll confess to which books I didn't end up picking up, and give a quick summary of the ones I did get to. 1. The Game of Thrones book series... alright, I did start reading book one with all intention of reading at least three of the books this summer... but I didn't get past the halfway point of book one. I started watching the series with my husband, and that was good enough. Maybe after I get through the TV show, while I'm waiting for the last season to air, I'll pick back up the books. 2. Sacred Marriage I am not sure why I didn't get to this book, it is mentioned by people all the time, and I want to read it. But non-fiction hasn't really been keeping my attention recently, and I didn't pick it up once. 3. The Kiss of Deception I did read this entire trilogy this summer, and loved it. Actually I listened to the audio. And it was amazing. The first book was very confusing, and I almost gave up, but with the help of a great book loving friend, I pulled through, and this might be my favorite pick of the summer! 4. 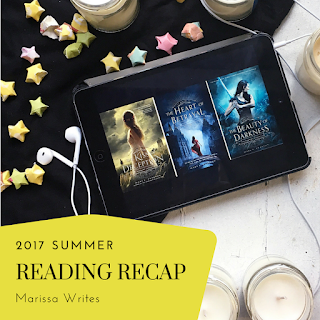 Matched Another book trilogy that I actually finished this summer. 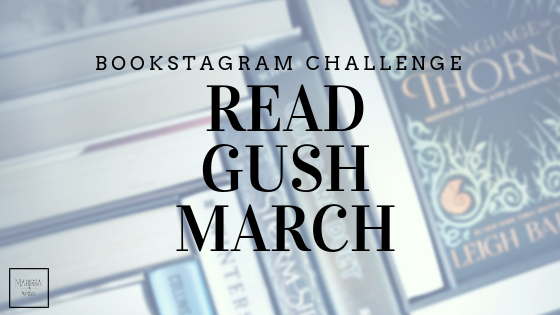 I listened a lot of Audio books while in the car running errands, and preparing meals for my family, and that is how I got through this older dystopian story. It was good. 5. The Raven Boys This one was a semi win - I did make it through this first book, and the second book, Dream Thieves, both as audio because I love the narrator. But the story isn't grabbing me like it does so many. I might try the rest as audio, but probably not right away. 6. Anna and the French Kiss I always try to pick up some romcom's for the summer. They are light and fun, and I have wanted to read this one for a while. While I enjoyed, I didn't love it lie some people did. But yay for another book checked off my list! 7. Six of Crows Well this one was a flat out fail... I didn't even read on page. It still sits on my shelf laughing at me every time I walk past... which is often... maybe soon??? 8. Talking As Fast As I Can This is another one I finished this summer, and it was amazing... I actually picked up the audio after I got through 95% of the print book because Lauren herself narrates it, and it was so good. 9. Empire of Storms I totally finished this one because I was reading it as part of a buddy read, and it was by far my favorite in the series... and now the wait for the continuation of the story begins... I highly recommend this series to fans of fantasy and quick paced-plots. 10. Behind the Scenes And I'm ending my list with a flat out forgot about this book. Every time I went to start a new book I didn't even think of this one. But I do want to pick it up soon because I enjoyed the other books in this series - its a series of books in the same world, with different characters, so they are each a stand alone. Did you keep track??? How did I do?? Well that means that I completed six of my ten... I guess that's alright... when I break it down to the series, I am pleased with how many I read. Of course I got sidetracked and picked up a ton of other books too. And you know what, that's fine! I love this quote and I think it's so true. And now I guess it is time to put together an Autumn to read list... and of course ignore it while I pick up all the books that catch my eye! While summer can be busy, it tends to be a time when we are able to sneak in some extra reading. 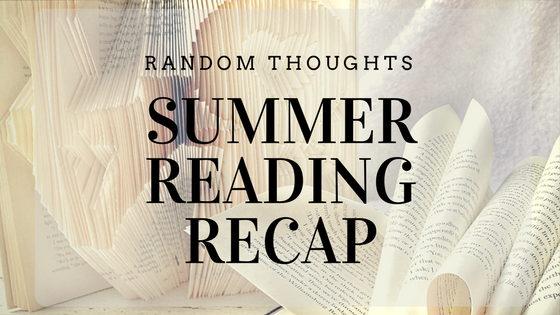 So I'd love to hear about some of the books you read this summer! See where I am sharing this post! 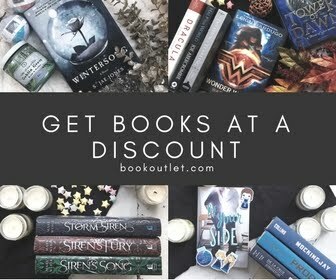 ***While there are affiliate links, as stated at the top of the post, all Amazon Affiliate links help to support Reading List, so please feel free to click through the book images above if you are interested in buying any of these books. Even if you don't end up buying it helps me out! Thank you! Marissa, you definitely went through more books than I did this summer! My daughter loves audiobooks, she has an app that connects to our library so she can get them for free! Thanks for sharing, I'm visiting you today from #SoulSurvival Linkup. That is how I get my audio books too... they are too expensive otherwise and this way I don't have to worry about late fees!